Create a Free Standing Insert (FSI) that communicates a back-to-school usage message to moms, with the understanding that the Hershey’s Syrup core user skews toward children 5-8. 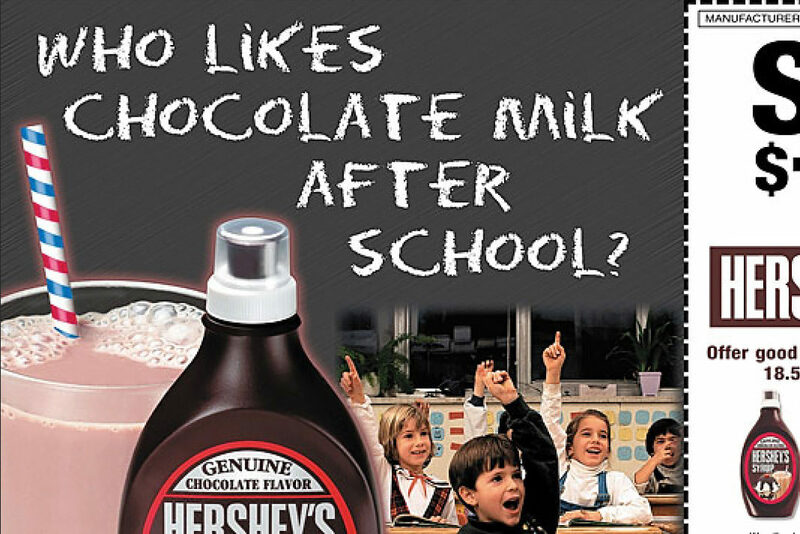 It was initially difficult to come up with any logical connection between young kids going back to school and their enjoying Hershey’s Syrup. However, we soon realized I could move the argument to after school, as a reward for a hard day’s work in the classroom. We also created a photorealistic straw and retouched it into the large glass of milk.